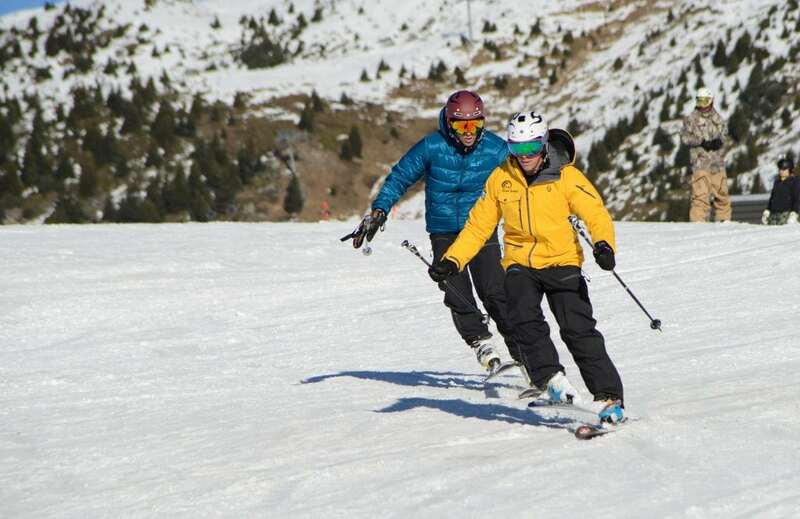 If it’s your first venture onto the snow-laden slopes, what are the best pieces of ski advice to heed, and should you employ an individual ski guide, go for a group lesson, or just improvise? Choosing the right location for your first foray onto the slopes can be crucial, as you don’t want to end up feeling overwhelmed by dauntingly steep slopes or ridiculously cold temperatures. Ideally, you should pick a resort that has plenty of suitable areas and tracks for beginners and one that isn’t too high up in the mountains. It would also be wise to check that the resort has some English speaking staff and instructors to give you valuable ski advice. Knowing what equipment you need is also important when going for your first skiing adventure. It is usually recommended that as a beginner, you should rent your equipment, as otherwise you may end up spending money on gear you may only use once, should you decide skiing is not for you. The basics are skis, boots, poles, goggles, a helmet, gloves, ski socks and a jacket. In terms of tutoring, it is infinitely better for beginners to be taught by a professional than by a friend or family member, no matter how good they may think they are. Professionals will not only teach you how to ski well, but will also be more aware of the most appropriate slopes to use. 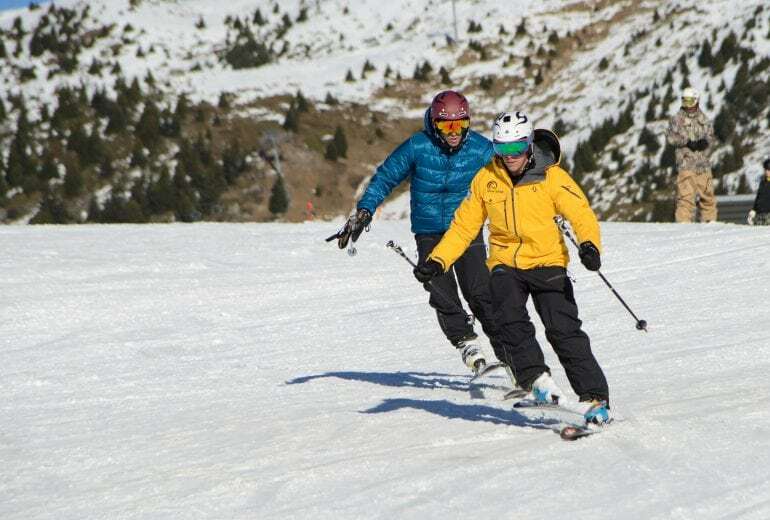 One to one lessons from a professional ski guide would be preferable in an ideal world, but these can be expensive, so a smallish group lesson for beginners is probably the best option to go for. Another good tip for those new to skiing is to make sure that you are in reasonably good shape prior to your first attempt. Although skiing does not require super fitness, you do need a degree of core body strength and some stamina.